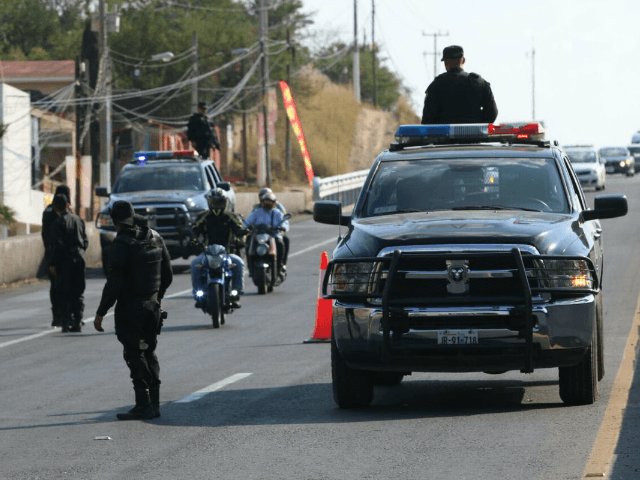 Three cops from Tecatitlan, Jalisco, were arrested in connection with the kidnapping of three Italian citizens. The police allegedly pulled over the foreigners before turning them over to suspected cartel gunmen. 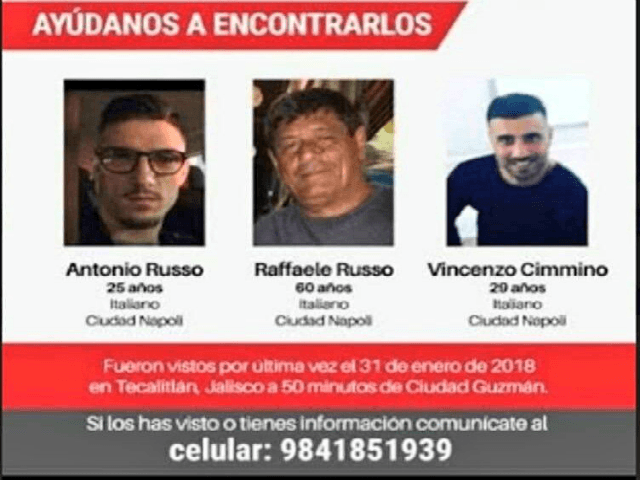 The three officers have not been identified, but their arrest was carried out by the State Prosecutor’s Office who investigating the kidnapping of Raffaele Russo, 60, his son Antonio Russo, 25, and a nephew Vicenzo Cimmino, 29; all three from Naples, Italy. The victims were taken on January 31–their captors have not made any ransom demands. Relatives who have made public statements on the case claim Raffaele was the first to go missing as he drove a rented Honda CRV outfitted with a GPS device. Vicenzo and Antonio went searching for their relative after he went missing somewhere in Tecatitlan. Through audio messages, the two Italian men told relatives they were being stopped by two police officers on motorcycles and another police vehicle. The lawmen told the Italians to follow them to an unknown location. Information revealed by the Government of Jalisco points to the three Italians having entered as tourists, but in fact, they were on a work-related trip. The men are believed to sell machinery that includes cheap Chinese parts that they pass off as expensive brands. Rafaelle Russo was previously arrested on fraud charges in Campeche. According to the most recent information revealed by Jalisco officials, investigators have not been able to locate and interview the Tecatitlan police chief. Jalisco is considered the headquarters of Cartel Jalisco Nueva Generación, one of the most dangerous and bloodthirsty organizations in Mexico.